For nearly four decades the middleweight sportsbike was a staple of almost every manufacturer’s line up, often out selling the companies more potent models. With enough power for the street, nimble handling and rev happy engines few will go through their motorcycle life without owning one. But now the class has all but been abandoned with just Yamaha’s new R6 left to fly the flag. 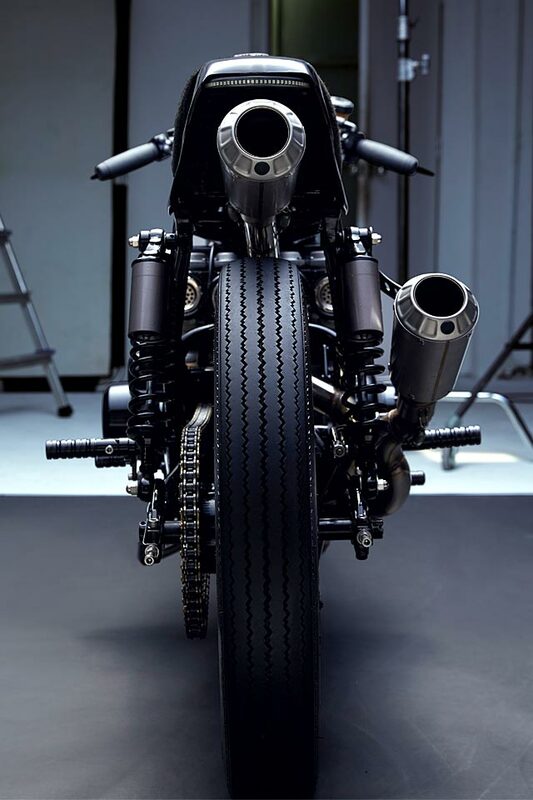 So when Malaysia’s Beautiful Machines found themselves working incredibly long hours preparing two spectacular builds for a show, they decided it couldn’t hurt to another yet another bike to the mix. 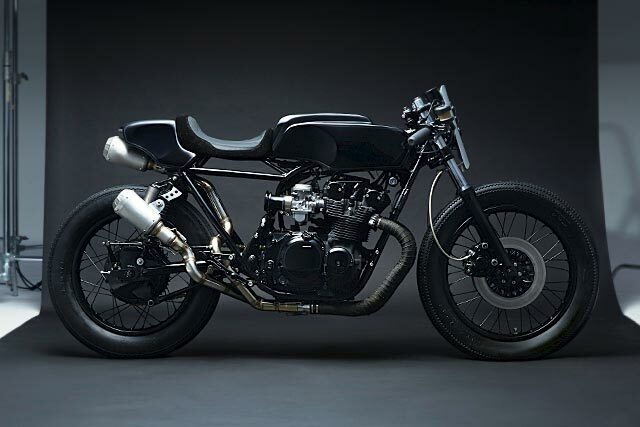 From the remains of a motorcycle that’s been an old friend to the shop comes this trick neo-racer from one of the original middleweight legends; a 1979 Suzuki GS550 they call Kuro. Hard at work on the previously featured Monster and lil Monster, the team was also crafting the incredible Typhoon, all three trophy winners. At the same time they were also developing their SR400 supercharged beach racer and of course taking care of customer builds, servicing and maintenance. You’d think that would be enough to keep any shop busy but with less than 12 weeks to go on the deadline of their big builds they happily took on the GS as well. The bike has been around the shop since day one, having previously been treated to a basic café conversion, but a new owner meant a full overhaul. 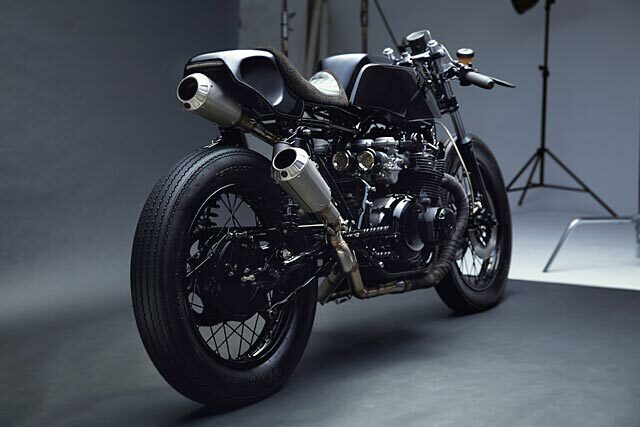 Beautiful Machines describe this as one of their “simple” builds with the goal being to deliver a bike for their friend that was unmistakably a BM motorcycle without going over the top so it could remain a regular rider. 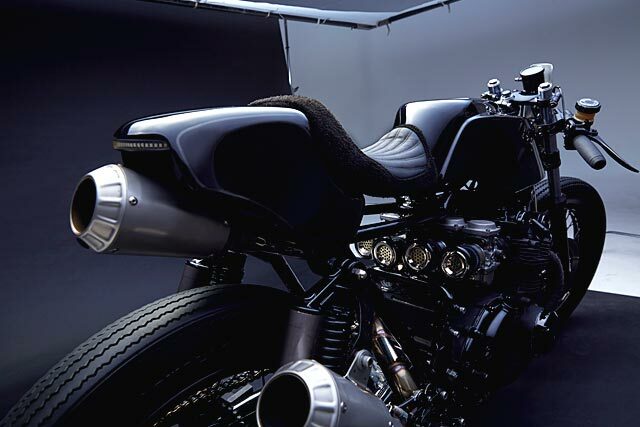 Rather than draw up fancy plans or spend time they didn’t have designing the bike on a computer they simply imagined the rough silhouette they wished to create and got to work. “We also decided that black on black was how we would want this build to be and that also served as a premise for us to work from,” explains Julian. The only other firm idea they had was to do something interesting with the seating position, but even before that thought was finished disassembly had begun. Absolutely everything came off the bike with a mix of original and previously used custom parts finding a home in the corner where they’d stay. 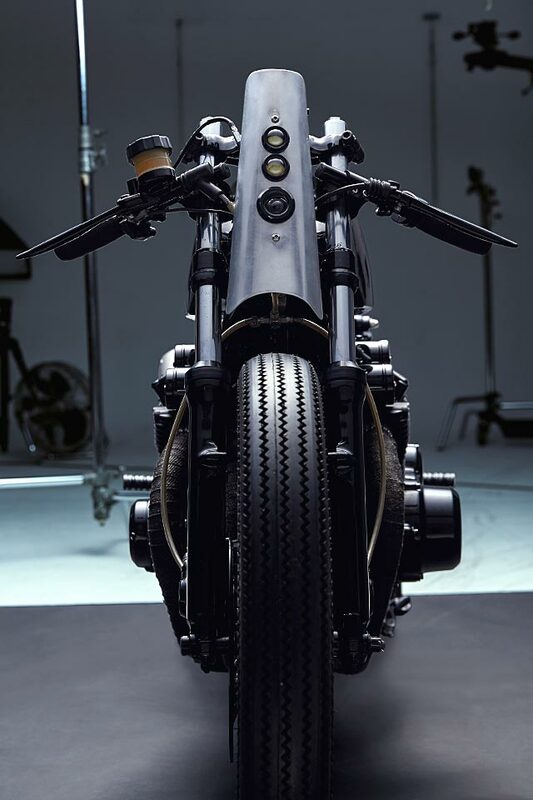 The first task was to take on the subframe to create an elevated seating position they had envisioned, that had to both look interesting and give the bike a more sporting riding position. The subframes mounting points and tabs were all ground off and the original steel smoothed out. Then on top a second frame was created from smaller diameter steel tube to create the floating effect. Then the whole frame was ground perfectly smooth and new coats of black flowed over to cover it all. “Because the bike was going to only be black…the separate layers that you see were important so the finished bike did not look flat”. 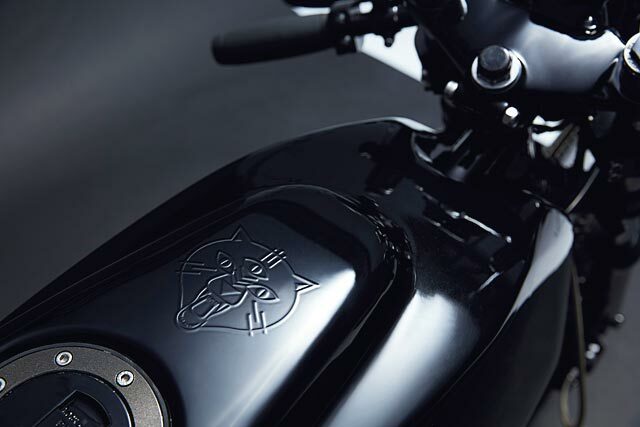 To further enhance the look there are plenty of custom touches as you start to examine the Suzuki more closely. The tank features a modern style filler for a racy feel and a neat raised three eyed cat graphic. The front fairing is one of the few large areas that isn’t black with the raw metal providing contrast to the three black ringed LED headlights that give the graphic extra meaning. Meanwhile the name has been neatly ghosted into one of the engine side covers and a clear LED taillight strip means no colours are artificially introduced. The seat takes cues from the entire design with the floating item a mix of black suede and metal grey leather. 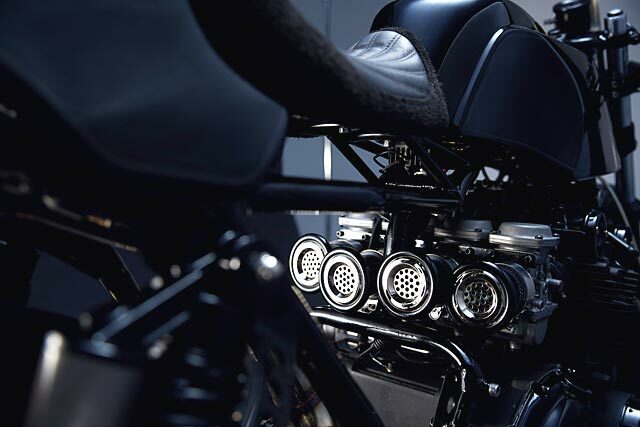 “The engine was perfectly painted in various shades of black but it’s the exhaust that steals the show”. Like any good middleweight machine the Suzuki likes to rev with peak power from the 549cc four pot coming at 9000rpm. So with the GS nearing 40 years of age the boys stripped the engine down and treated it to a full overhaul with new gaskets and seals throughout. The stock Mikuni carbs were pulled off, rebuilt and balanced before the crew fabricated a set of exquisite black velocity stacks with unique metal inset filters. 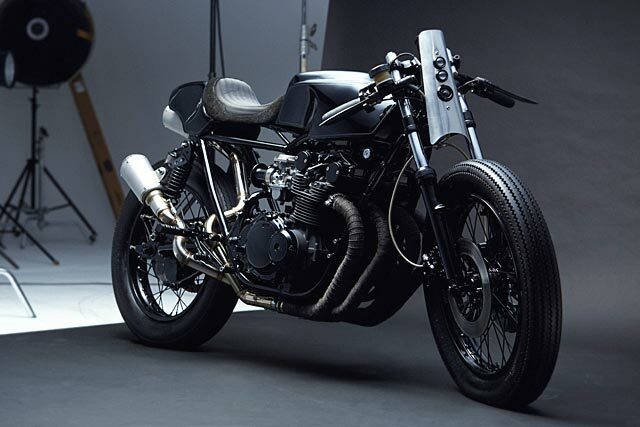 The engine was perfectly painted in various shades of black but it’s the exhaust that steals the show. Deliberately “wrong” as the lads describe it the conventional headers get crazy when the system splits in two for a GP inspired look with the stainless system finishing out in twin end cans, one under the seat. Given the bike was going to be heavily street ridden as well as making the odd show appearance alongside the other Beautiful Machines masterpieces braking and handling had to get the job done without compromising the distinctive look. The rebuilt wheels are naturally all black with new spokes and rims, the Firestone rubber matching the shops other bikes but is easily switched out for sticky stuff. The front forks have been slightly lowered through the trees and given a rebuild to suit the reduced weight Kuro carries. While out back the old chrome shocks have been thrown in the bin for a set of remote reservoir units. With the Suzuki’s seat up, the bars come down to exaggerate the look and add to the feel the team were going for. 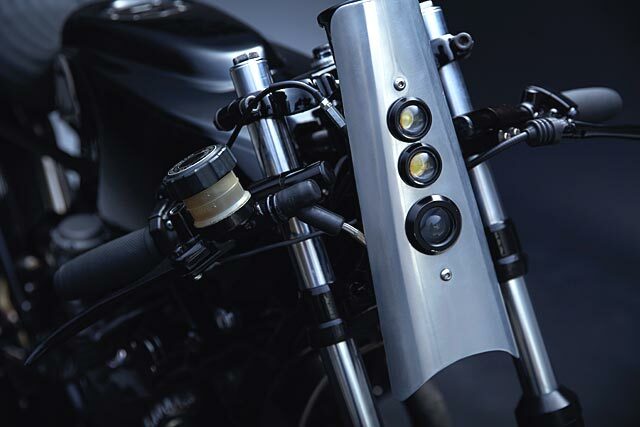 A set of clip-ons are mounted down the forks with only the barest of essentials fitted up. New grips were a must while a set of all new levers in black and a new master cylinder was just about all that is needed to control the GS. Running from the new master is all new braided brake lines to improve the stopping power of the twin disc front end and ensure no tyre rubbing issues with running the bike sans fender. Finally, the rider can feel like a real GP star with a set of modern rearsets finishing out the job. Despite the deadline of less than three months and the need to build all new metal work while also building a bunch of trophy winning machines the deadline was met with ease. 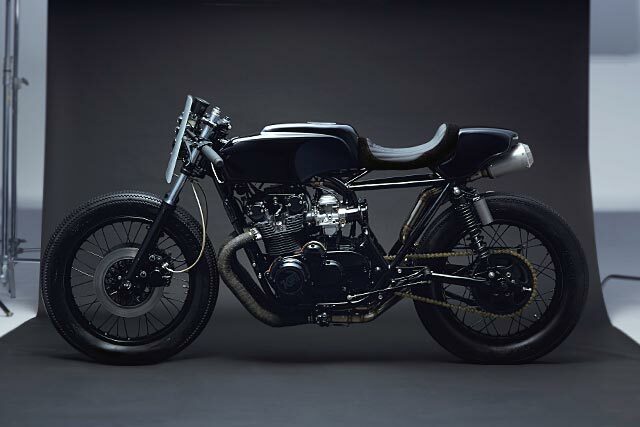 Beautiful Machines is a slick operation and whether they’re building thunderous Harley’s, bubble gum fun Monkey bikes or this triple shot black Suzuki GS550 nothing seems to faze the Malaysian crew, as evidenced by the bike winning the Cherry’s Company pick at the Malaysian Art of Speed show this year. 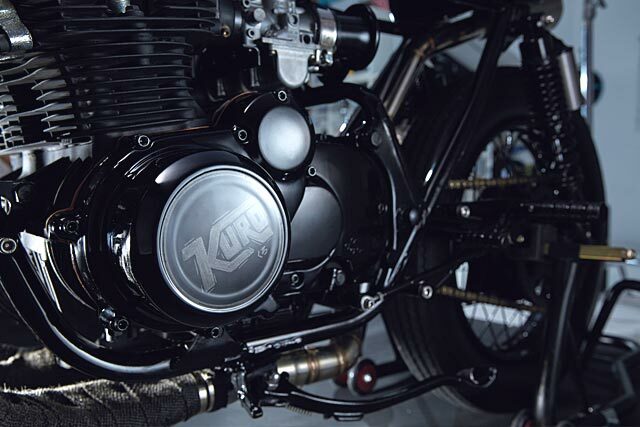 But there was one surprise on this build, Kuro doesn’t just mean black as they originally thought. It also means ninth son and as fate would have it, this is the ninth full build undertaken by the current Beautiful Machines operation; it was just meant to be.